ith humble beginnings in Rajkot, Patel’s Minus Zero Degree Ice-cream has come a long way. Today, its fame is only exceeded by its taste and plentiful options. 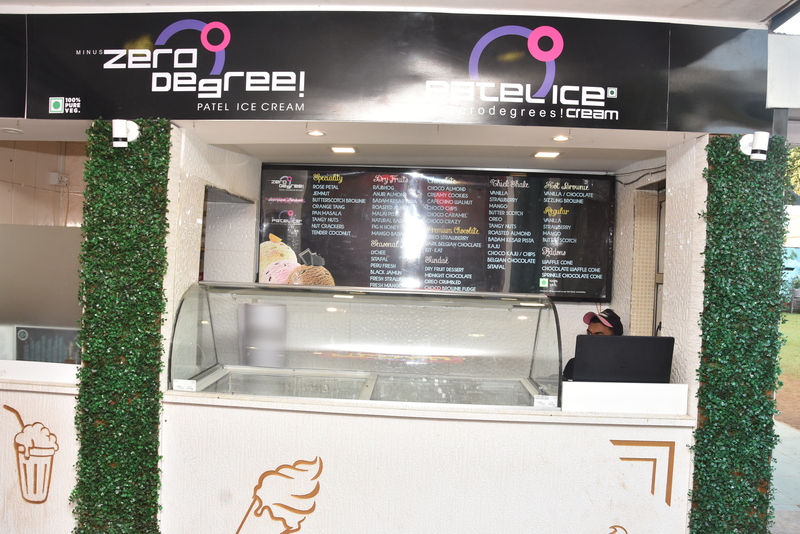 Located near the Princess restaurant and Soda Fountain, Minus Zero Degree offers low-fat ice-cream in a variety of flavours – perfect for the health conscious individual who doesn’t want to compromise on some of the sweeter things in life. Sample a few different options before tucking into your big scoop of joy. On a hot day, which can be any day in sunny Mumbai, there’s nothing better to keep cool! We’ve even worked hard on making it the slow-melting kind so you can savour it a little longer without having to wolf it down. All the ice-cream is made fresh daily and churned from the finest ingredients, so whether you’re just strolling by or just finishing up a big meal in the club, Minus Zero Degree offers you the perfect end to a meal you could ask for. That’s not all… We also have fresh waffle cones, hot brownies, milkshakes and sundaes. We’ve got a tasty treat for every taste and every mood.